What is a facelift and what age group is it for? 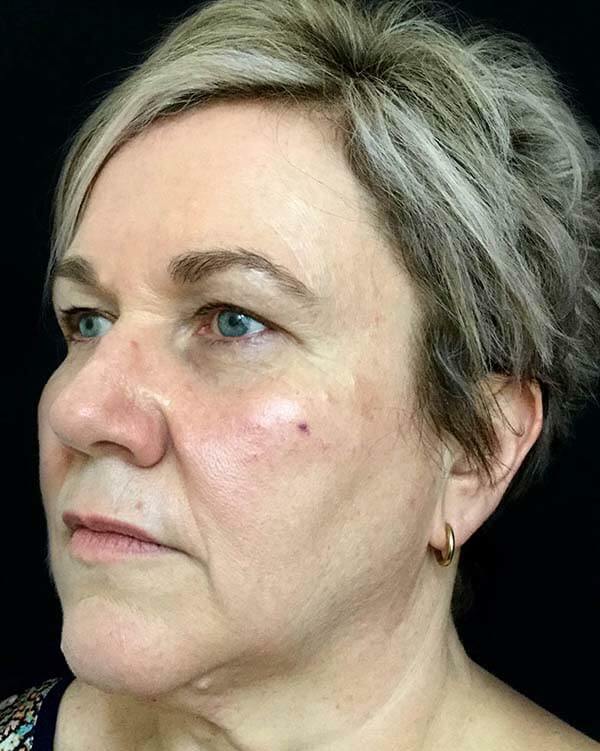 The modern facelift, or rhytidectomy, is a surgical procedure that tightens the underlying structures - and removes loose or sagging skin - on the mid to lower face and neck. 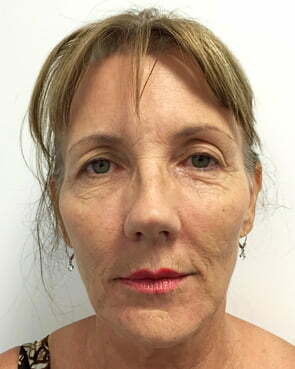 Our facelift patients range from people in their late 30’s seeking our unique Sharp Lift technique, which firms and redefines, addressing early jowls and lower face laxity while using nano fat grafting to plump and revolumise - through to men and women in their 70’s who are looking for the natural-looking, ‘total’ facelift results that Dr Sharp is renowned for (see right: before and 6 weeks after facelift and blepharoplasty surgery, 71 year old patient). 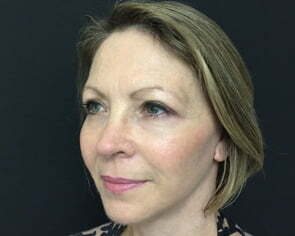 Dr Sharp’s approach to facelift surgery respects the aspects of your appearance that are uniquely you; his aim is for people to notice that you look incredible, without knowing you’ve had a facelift. During the procedure, Dr Sharp surgically tightens facial muscles to improve their tone. Excess fat may also be removed or repositioned as part of the surgery - or nano fat grafting used - to create naturally rejuvenated facial curves or replace volume in the mid face that time has taken away. Our facelift patients receive complimentary Fraxel laser rejuvenation and scar optimisation included in their post operative care program. Dr Sharp performs this procedure under general anaesthetic at hospitals in both Brisbane and Ipswich. As we age a number of tell tale facial signs develop. These include a ‘sagging’ appearance to the middle of the face, deep creases below the lower eyelids, and along the nose extending to the corner of the mouth. 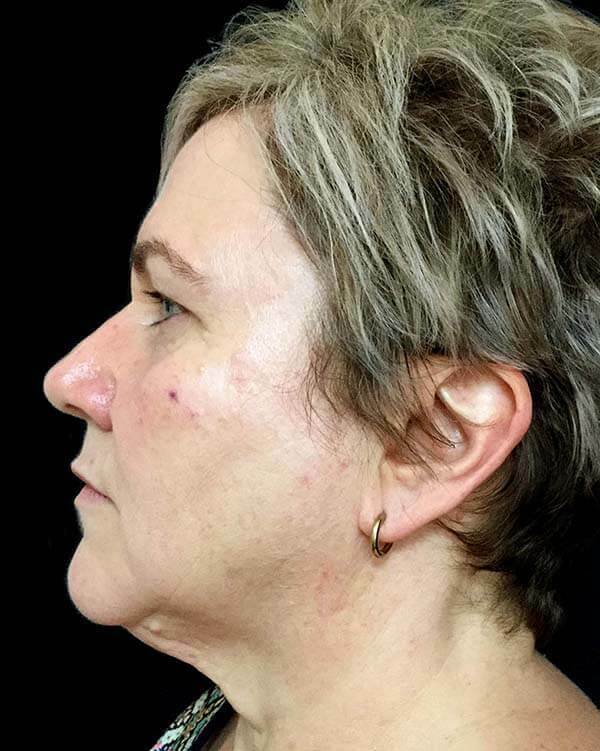 As fat either disappears - or moves south on the face - loss of skin tone in the mid and lower face creates jowls and excess loose skin, creating an undefined and irregular jawline. A facelift can’t stop this aging process. What it can do is set back the clock, improving the most visible signs of aging by removing excess fat, tightening underlying muscles, and re-draping the skin of your face and neck. A facelift can be done alone, or in conjunction with other procedures such as a forehead lift, eyelid surgery, or nose reshaping. 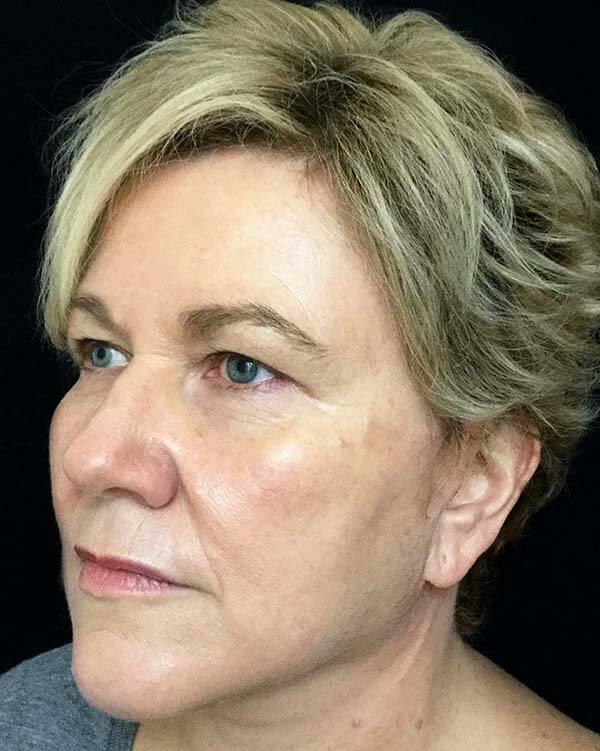 Non-surgical treatments, such as chemical skin peel, dermabrasion or skin resurfacing of the face, may be undertaken at the same time as the facelift. 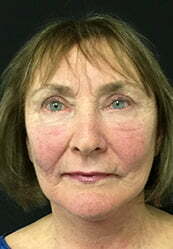 The aim of these treatments is to treat sun-damaged skin and crow’s feet around the eyes, and fine lines around the mouth, which are not removed by facelift surgery. A facelift can make you look younger and fresher, and it may enhance your self- confidence in the process. But it can’t give you a totally different look, nor can it restore your appearance to that of your youth. Before you decide to have surgery, think carefully about your expectations and discuss them with Dr David. The aim of a facelift is to reduce the signs of ageing by improving the contours of the face and neck and removing excess skin. But it does not improve poor skin condition, discolouration or pigmentation commonly experienced as we age. 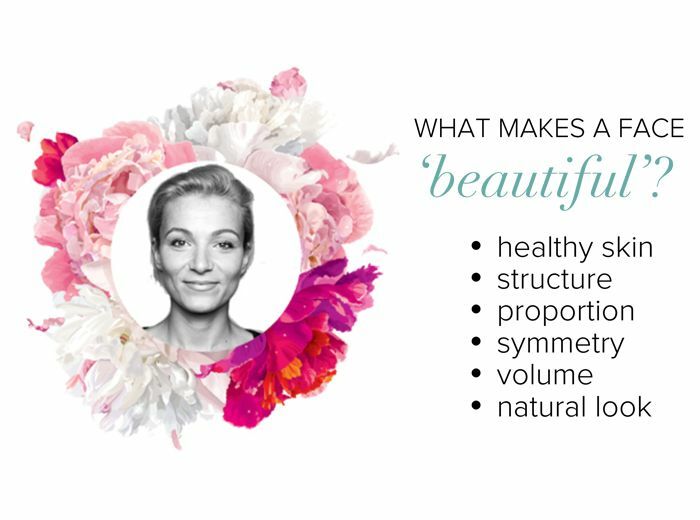 For this reason, we offer our patients a full face Fraxel treatment - if the treatment is appropriate for their skin - when they have facelift surgery. This medical grade laser comfortably stimulates collagen production, plumping the skin while its dual laser function also resurfaces and removes pigmentation, sun damage and pre cancerous solar keratosis. The result is complete facial rejuvenation, both skin deep - and beyond. Contact us for more information! A facelift can only be performed surgically; non-surgical rejuvenation treatments cannot achieve the same results but may help delay the time at which a facelift becomes appropriate and complement the results of surgery. 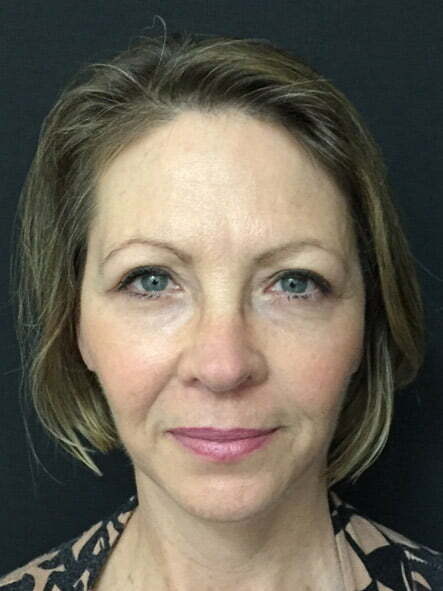 Our facelift patients are generally men and women in their late 40’s to late 70’s who don’t want to look 21 again (they’re grateful for the wisdom those extra decades have given them) but they do want to look great for their age! Facelift surgery is performed under a general anaesthetic with a specialist anaesthetist; you will be asleep and feel nothing during surgery. Incisions usually begin above the hairline at the temple, extending in a natural line in front of the ear - or inside the cartilage at the front of the ear - and continuing behind the earlobe to the lower scalp. If a neck lift is also required, a small incision may also be made under the chin. Dr Sharp separates the skin from the fat and muscle below. Fat may be trimmed or suctioned from around the neck and chin to improve the contour. Dr Sharp then tightens the underlying muscle and removes excess skin. Once healed, the incision lines from a facelift are usually well concealed by the hairline; Dr Sharp aims to integrate these into the natural contours of the face and ear. 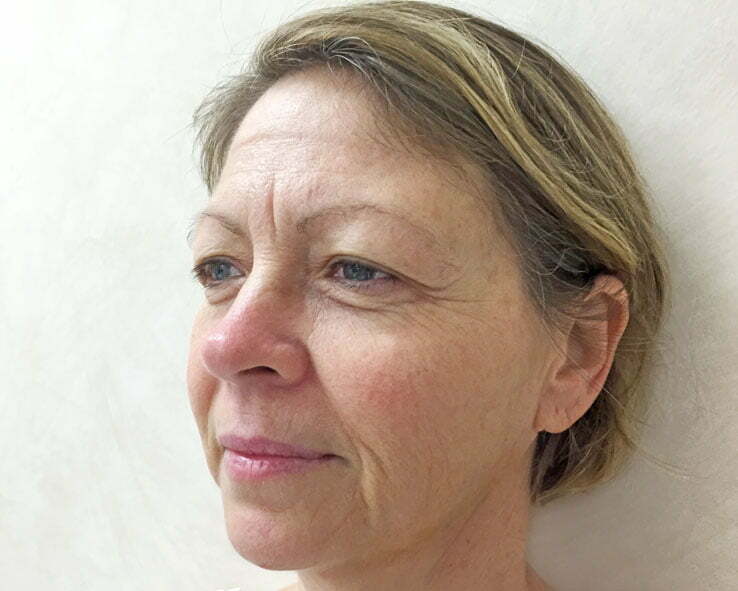 This article by Dr Sharp explains more about facelift incisions and scar positioning. The visible improvements of a facelift appear as swelling and bruising subside over several months following surgery. Your final result will restore healthy facial contours and provide a more lifted, full appearance. During your facelift recovery, a support garment will be in place around your face. It will minimise swelling and bruising. Thin tubes will also be present to drain any excess blood or fluid that may collect under the skin. There isn’t usually significant discomfort after facelift surgery; if there is, it will be reduced by the use of pain medication, prescribed by your anaesthetist at the time of surgery. Severe or persistent pain or a sudden swelling of your face should be reported to Dr Sharp immediately. Some numbness of the skin is quite normal; it will disappear in a few weeks or months. Dr Sharp will tell you to keep your head elevated and as still as possible for a couple of days after surgery, to keep the swelling down. If you’ve had a drainage tube inserted, it will be removed approximately two days after surgery. Support garments, when used, are usually removed after seven days. Don’t be surprised by your bruised and puffy appearance; it is only temporary - in a few weeks this will have subsided significantly. Most of your stitches will be removed after about five days. Your scalp may take longer to heal, and the stitches in your hairline could be left in for longer. You will begin to return to activities within two to three days, with just gentle activity around the home, slowly increasing over the first post operative week. Take special care when touching your face and hair; your skin will be tender and numb, and may feel strange. Resist the urge to itch or touch the incision areas - remember these are wounds that can become infected if strict hygiene standards are not followed. Dr Sharp will give more specific guidelines for gradually resuming your normal activities. These include avoiding strenuous activity, including exercise and heavy housework, for at least two weeks (walking and mild stretching are fine); avoiding alcohol and vigorous exercise for several months. Most importantly, eat healthy nutritious food to fuel optimal healing and get plenty of rest. In the weeks following surgery your face may look and feel strange. Your features will be distorted by swelling and bruising, your facial movements may feel unusual, you will most likely experience some numbness and you will feel self-conscious about your scarring. Some bruising may persist for two or three weeks, and you may tire easily. Healthy nutrition and regular physical activity, including gentle core strength exercises and practicing good posture, are integral to obtaining and maintaining optimal long term results. It is important that your surgical incisions are not subjected to excessive force, abrasion or movement during the healing period. It may take a few months for swelling to fully dissipate and for incision lines to mature. 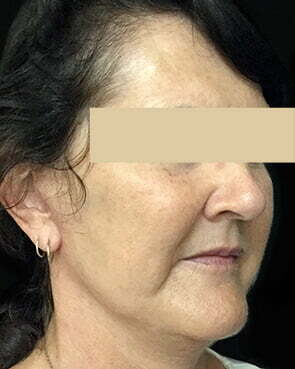 As swelling and bruising subside, the visible improvements of a facelift appear. Your final result should not only provide a more rejuvenated and rested look, but it may also help you feel more confident about your appearance. Remember that facelift results may not be immediately apparent; even after swelling and bruises have dissipated, your face may not feel ‘settled’ for months. Men whose beards or skin have been repositioned may find they have to shave in new places, behind the earns and on the neck. You will have scars from your facelift, however, Dr Sharp endeavours to conceal these in the hair or natural creases of the face and ears. With good care and patience, these scars will fade within time until they are scarcely visible. Talk to our skin team if you have any concerns regarding scaring, as our scar optimisation protocol can assist with accelerating your scar healing and improve its appearance. Having a facelift may turn back the clock, but it does not halt the aging process. Your face will continue to age with time, and you may wish to repeat the procedure one or more times five or ten years down the line. Ongoing sun protection and a healthy lifestyle will help extend the results of your rejuvenated, more youthful appearance. 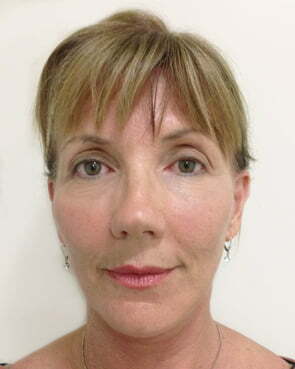 Facelift surgery is very safe and performed frequently by plastic surgeons in Brisbane. However it is a major procedure – and therefore, choosing the right surgeon is of utmost importance. 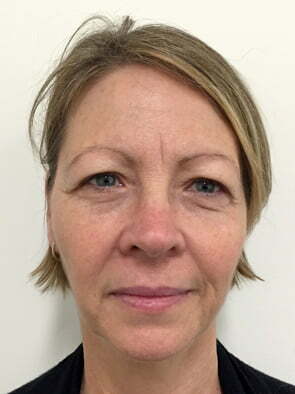 Facelift surgery should be performed by a qualified plastic surgeon who is registered as a Fellow of the Royal Australasian College of Surgeons. You can confirm your surgeon’s credentials here. It’s normal to feel both nervous, and an excited sense of anticipation when planning your facelift. Dr Sharp takes the time to ensure you have as many consultations as you require, to ensure your treatment is customised to suit your face, age, and expectations – and address any concerns you may have. Unsatisfactory results may include: asymmetry, unsatisfactory surgical scar location and unacceptable visible deformities at the ends of the incisions. It may be necessary to perform an additional surgery to improve your results. Everyone’s body responds differently to surgery. In some cases, post-operative revision surgery might be required. Facelifts are performed under a full general anaesthetic. A specifically selected range of medications are administered during the surgery to ensure your post-operative comfort. Dr Sharp works with an experienced team of trusted anesthetists. The procedure is performed in accredited day hospital and inpatient facilities. Some patients go home a few hours after surgery, while others prefer to stay in hospital for a day or two following their procedure. You should avoid strenuous activity for up to six weeks. Depending on your work, you could need to take up to three weeks away from work, although many people return to work - particularly if it involves sedentary activity - after 9 to 14 days. How much do facelifts cost? Facelift is not covered by private health insurers. After your consultation with Dr Sharp, you will be provided with a written estimate of fees. It is important to understand that, in the case of complications or revision surgery, the cost of your facelift might extend to future surgical procedures and hospitalisations. We encourage patients to think about how they would fund further treatment beyond the immediate costs expected. Your result will not last forever; facelift turns back the clock but it does not stop the aging process. 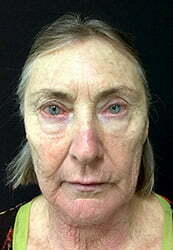 You may wish to undergo further facelift surgery in 5 or 10 year’s time to retain your lifted, firm appearance. How do I know if I need a necklift or facelift? 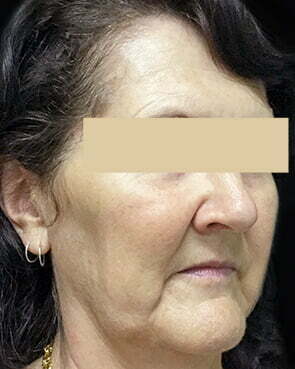 Often, patients think they need a neck lift to address their jowls and sagging skin in this area, however the cause of their lower face concerns actually began with the loss, and migration of their fat pads, skin and underlying facial support in their mid face - causing skin and tissue to hang around the lower face. In this case, a facelift may address these issues and a neck lift might not be required. 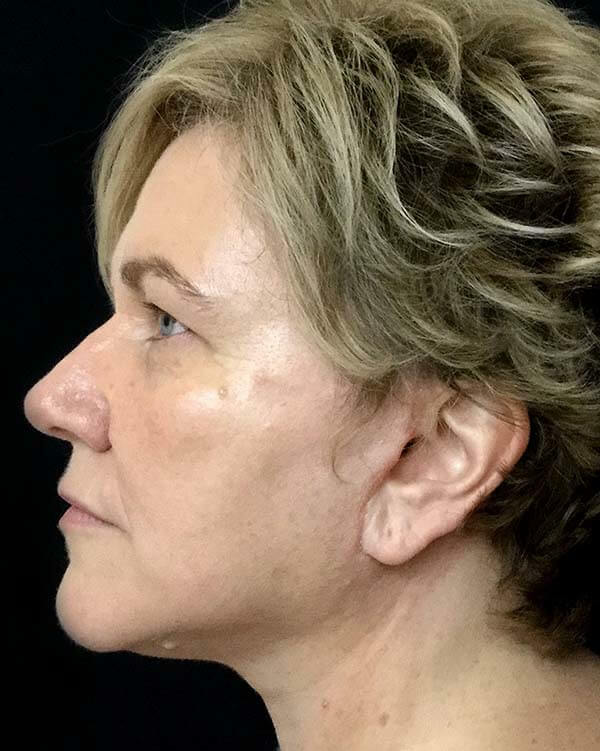 If there is excess skin below the jawline, on the neck - or small deposits of fat accumulated under the chin area - a neck lift procedure may also be required. This procedure is tailored to the patient’s desired outcome. In some cases, liposuction may be used to remove excess fat, while in others only the platysma muscle is tightened and excess skin removed. The neck lift incision is made across the front of the neck, and the scar is often integrated into the lines of the skin to reduce its appearance.